"The entire basis of the decision of the High Court was that those who were recruited prior to the restructuring exercise and were holding the post of Havildars had acquired a vested right of promotion to the post of Naib Subedar. This does not reflect the correct position in law." The Supreme Court reiterated that there is no vested right to promotion, but only a right to be considered for promotion in accordance with the Rules which prevail on the date on which consideration for promotion takes place. 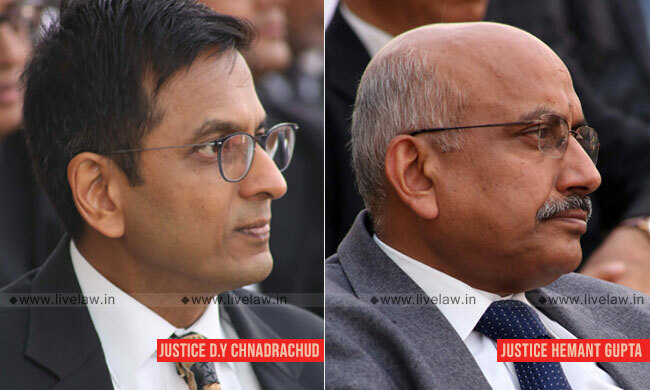 The bench comprising Justice DY Chandrachud and Justice Hemant Gupta set aside the Manipur High Court direction to consider Havildars for promotion to the post of Naib Subedars against vacancies which had occurred prior to the changes which were carried out in 2011 and before the enforcement of the Recruitment Rules, 2012. The Apex Court bench observed that the High court had proceeded on the basis that those who were recruited prior to the restructuring exercise and were holding the post of Havildars had acquired a vested right of promotion to the post of Naib Subedar. In this case (Union of India vs. Krishna Kumar), the intermediate post of Warrant Officer was created in 2011 and the contention which found favour with the High Court was that, if Havildars are to be promoted as the Warrant Officers, it would violate their fundamental rights under Articles 14 and 16 of the Constitution. Another contention was that the vacancies which have arisen prior to 2011 must be filled up by promoting Havildars eligible for promotion to the post of Naib Subedars. The court observed that there is no vested right to promotion, but a right be considered for promotion in accordance with the Rules which prevail on the date on which consideration for promotion takes place. It said: "This Court has held that there is no rule of universal application to the effect that vacancies must necessarily be filled in on the basis of the law which existed on the date when they arose. The decision of this Court in Y.V. Rangaiah Vs. Sreenivasa Rao has been construed in subsequent decisions as a case where the applicable Rules required the process of promotion or selection to be completed within a stipulated time frame. Hence, it has been held in H.S. Grewal Vs. Union of India that the creation of an intermediate post would not amount to an interference with the vested right to promotion." Referring to previous judgments, the bench said: "The High Court was, in our view, in error in postulating that vacancies which arose prior to the amendment of the Recruitment Rules would necessarily be governed by the Rules which existed at the time of the occurrence of the vacancies. As the decided cases noted earlier indicate, there is no such rule of absolute or universal application. The entire basis of the decision of the High Court was that those who were recruited prior to the restructuring exercise and were holding the post of Havildars had acquired a vested right of promotion to the post of Naib Subedar. This does not reflect the correct position in law. The right is to be considered for promotion in accordance with the Rules as they exist when the exercise is carried out for promotion."